The world of sales is changing - quickly. We’ve already entered the age of CRM ubiquity, where 91% of companies with 11 employees or more are using some type of CRM software. 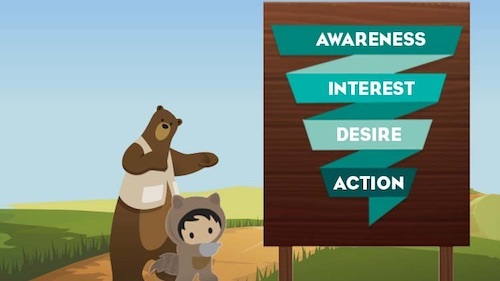 Hundreds of thousands of companies have made big investments in systems like Salesforce, which means the foundation is in place, and the market is shifting to an “inputs drive outputs” approach to sales. I think that’s actually the original vision sales leaders and CEOs had when they invested in CRM in the first place - they want a real-time pulse on what’s happening within the sales organization, so they can course correct where needed to motivate and manage to sales success. So with the technology foundation soundly in place to measure what’s happening, the fastest growing companies are leveraging that data to move to this activity-driven approach to sales. It’s built off the premise that sales is a cascading chain of controllable behaviors that lead to a defined outcome - closing a deal, or maybe an SDR setting a qualified appointment with a new prospect. What’s key is that those controllable behaviors ARE NOT mindless activities that have nothing to do with the buyer. For example, it’s not things like dialing the phones only to get voicemails, or sending email templates to as many people as possible. Salespeople and sales managers often get lost in day-to-day distractions that feel like the right things to do in the moment, but aren’t actually helping drive towards more revenue. It’s not that they are doing something bad - it’s just easy to get lost. This results in a lack of focus on the fundamental actions that drive sales, such as live conversations, face-to-face visits, having VP-level meetings or completing an ROI analysis with a prospect. The fastest growing companies are realizing that there is a real need to monitor and manage the activities that lead to sales so that salespeople can stay focused on what truly matters, and sales leaders can coach and course correct towards beating quota. So, how do you start with Activity Driven Sales? The first step is to define your sales organization’s structure. 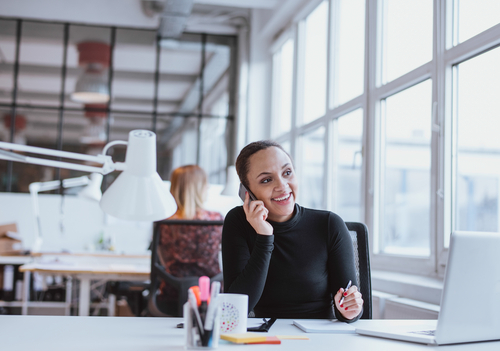 Are sales development reps prospecting leads for your account executives? Are your teams divided by geographic regions and/or company size segments? Map it out as the key activity metrics will be unique for each one. Once you have those defined, start coming up with your own hypotheses of the right key performance indicators (KPI) for each group. What activities are critical to your sales process? For a sales development team perhaps it’s 4+ minute conversations or demos; for a field salesperson it might be face-to-face meetings and VP-level conversations that make the biggest impact. Once you have your own hypotheses in place, put it to the side for now. Next go interview salespeople, front line sales managers and executives to see what they think are the right metrics. Note the difference between metrics (lagging indicators) and activities (leading activities). When interviewing executives, find out the key company initiatives and how salespeople’s behavior could align to achieving those key objectives. You’ll also need to assess your CRM readiness -- does your current set-up give you the capability to measure the things you want to measure? You might need to make some adjustments before roll-out. After collecting the recommendations for sales activity metrics from your interviews, go back to a sample size of those people and ask them to choose the top 3-4 most meaningful from the list. Take their thoughts into consideration as you make the final decision for which 3-4 activities you want to make into your primary KPI’s to run your sales organization. Develop personalized scorecards for salespeople and managers to keep track of their results. You should also display results publicly so everyone is truly aligned, and review them on a daily and weekly basis to assess pacing and progress toward the goal. Inspire self-collaboration via accessible stack rankings, and run consistent one-on-one sessions using this objective data as your guide. Sales managers should monitor the metrics daily to course correct when something falls behind, uncover best practices from top performers and celebrate team successes. With these metrics front and center, when needed you can use contests and incentives to rally your team when a particular KPI falls behind or you want to focus effort around a special initiative. Assess your metrics and data monthly or quarterly to make sure that the activities you’re monitoring are actually driving sales. If you find that you aren’t motivating the right activities or your company’s goal changes, then change the KPI’s accordingly. After several months of using this approach, you’ll be able to uncover best practices by analyzing what activities your top performers spend most of their time on. This also becomes the time to invest in training and sales technology to increase the output of those core activities. Know that conversations are your key leading indicator to sales results? Then consider dialer technology to increase the velocity. This shift is happening quickly, and it’s really what sales leaders have been aiming to achieve for a long time. If you’re curious to learn what some of the most common sales activity metrics are as you get started with activity driven sales, check out our inaugural Sales KPI Report, which details the top KPIs used by more than 100 sales teams. With this new approach in place, you’ll be ready to scale and grow your ultimate modern sales organization.